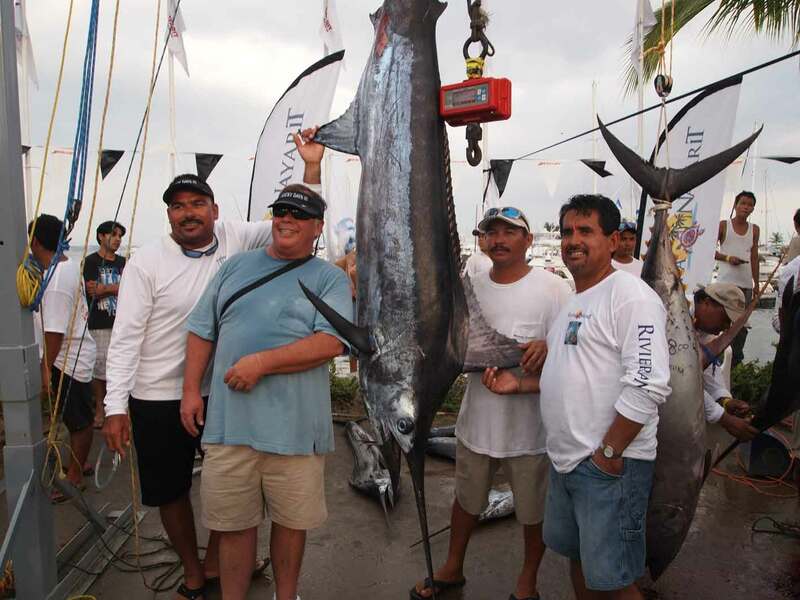 In Riviera Nayarit luxury is our nature and also for a great number of Fishing fans who gathered here this 11-14 of October for The International Sports Fishing Tournament in La Cruz de Huanacaxtle, that plays host to 50 Boats and around 300 Fisherman. “It’s the first time we organize a tournament in La Cruz and we’ve almost reached the record numbers like we had in the San Blas Tournament, which this year celebrated its 52nd aniversary. So even though we’ve anticipated more participants to come we’re actually very pleased with the numbers, it’s been a great response for a First Edition”, said Francisco Navarrete Buhaya, Tournament’s coordinator. “The richness, the good fishing is truly in Nayarit and we didn’t mass market it yet. There is such diversity for sports fishing, here in these waters, that world record fish can be caught all around the year. It’s is a true paradise for those who like to fish and such a great addition to any vacation”, he said, right after extending Good Luck wishes and as the Mariachi started Playing. Remember that this Friday, fisherman rest but the public is welcome to the parties in the marina, Saturday starting 16:00 and Sunday from 15:00.